What is the best bang for my buck? How to stay healthy with Neem. » What is Neem? A woman's story on how Neem saved her life. Joan from Florida asked: What is the best bang for my buck? I am a busy mom and want to stay protected and keep my kids protected from all the parasites, bugs & mosquitoes? What a great question and one that I can fully relate to. I have been a busy productive mom for almost 40 years, happily married for over 43 years, a grandmother for over 11 years a world traveler for way over 50 years and an entrepreneur way before the spelling & definition of this word was realized. Four decades ago, I designed and created my first and LAST petite needle point boldly announcing a newly realized “mom” secret: “If mother isn’t HAPPY, nobody is HAPPY!” Now that I am 40 years older with much more life experience, I decided to edit that ole “truth”: If mother isn’t HEALTHY, nobody is HEALTHY! My answer: PUT YOUR SELF FIRST! Neem Queen’s Starter Kit! If you want to continue to be busy and productive, stay protected from parasites, bugs, mosquitoes, kissing bugs, bed bugs, bacteria, virus and more…..Get Neemed! YOU FIRST! Learn about the benefits of neem and establish your own routine doing things like hand washing, neem baths, buzz off neem bug repellents etc. Sip a cup of neem tea every morning as you establish your strategy for each day and learn how you can protect your children and pets. My desire is that everyone could be as happy and healthy as I am today and it is possible that all of us can improve our living conditions so to walk in good health and help others to follow in our footsteps. So, busy mom, busy dad or just busy body….Start with yourself and get on the path to be happy and healthy! Neem, as a global solution, has been around for thousand of years and millions of people have benefited from its presence. At All About Neem, we have designed and created many products to stop the reproduction of pathogens and parasites ~ Nature’s Way! Neem is here for People, Pets and the Planet. 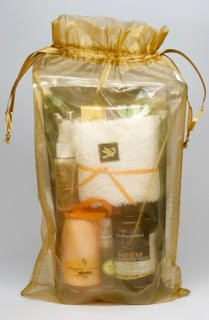 Let Nature help Cleanse ~ Defend ~ Protect YOU ~ Indoor and Out! 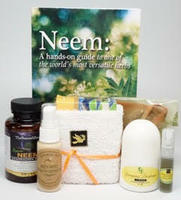 Neem Queen’s Starter Kit:Indulge Yourself! Hand Sanitizer -8ml Neem Leaf Extract- First defense against germs and disease. Carry with you in so you can instantly sanitize dirty hands. Want to learn more about Neem? Check out more questions about Neem in our "Ask The Neem Queen" series. Everyday we get emails from folks all around the world wanting to learn more about Neem, wanting to find ways to naturally heal health problems, finding alternatives to the mainstream health and beauty products or how they can use neem for their pets and even gardening. There are so many uses of Neem and so we've created a 'Ask The Neem Queen' section to share with you the questions that we've gotten to help others learn about the many benefits of Neem and how to use it in your every day routines. Have your own question for the Neem Queen? ASK NOW!